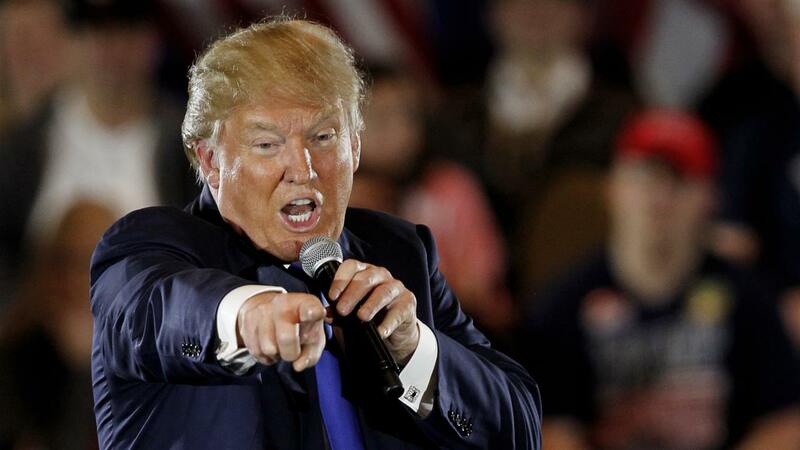 Trump trashes Biden . . . over this? That has to explain how this president, facing the accusations that have been leveled at him by at least a dozen women, could poke fun at a potential 2020 opponent because he’s a bit too touchy-feely. 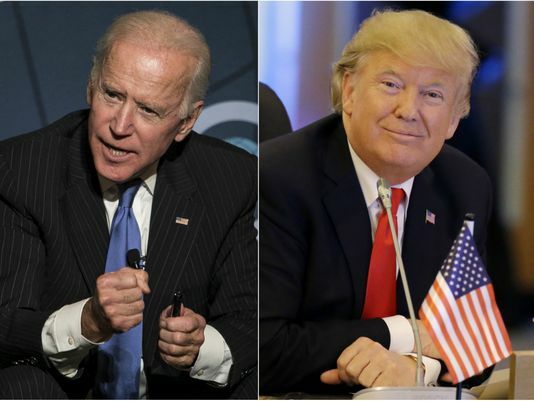 Trump took dead aim at former Vice President Joe Biden, who’s been accused by four women of getting a bit too close to them. He made them feel “uncomfortable” because he touched them and kissed them on the back of their heads. Trump? Oh, he’s been accused of sexual molestation, outright sexual assault, sexual harassment — and he’s actually admitted to “grabbing them by their pu***” because he’s a celebrity. So now he’s poking fun at Joe Biden. Sheesh! His base loves it. They cheer him on. They think this guy’s the greatest. 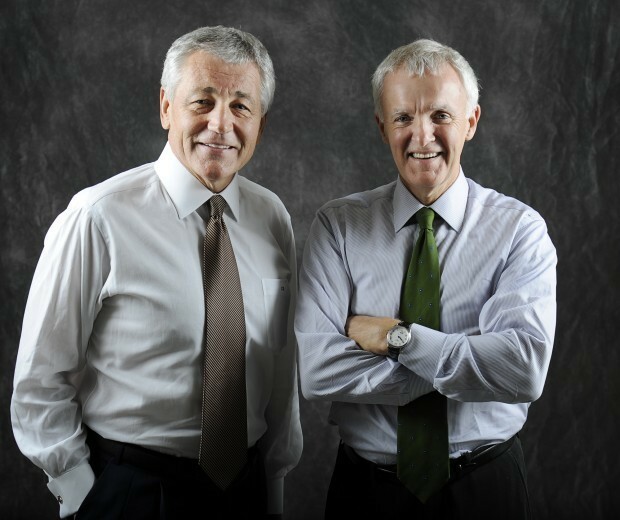 Robert Reich is a vocal critic of the president of the United States. I mean, he served as labor secretary in the Clinton administration. His progressive credentials are established. Just hours after Trump declared a national emergency to secure funding for his nonsensical border wall without congressional approval, he jetted off to Mar-a-Lago for a weekend of golf and relaxation. Excuse me, but shouldn’t the president be in the White House during a national emergency? The truth is there is no emergency. Border crossings are at historic lows, immigrants commit crimes at lower rates than native-born Americans, and a wall would do little to curb the flow of illegal drugs. This entire crisis is designed solely to score points with Trump’s political base and consolidate his own power. What Reich neglected to mention in this message — although I am certain it wasn’t lost on him — was that Trump himself actually dismissed the “national emergency” in a rambling, incoherent “press availability” on the White House lawn. Trump knows there’s no “emergency” on the border. He made the declaration, it seems to me, because he wanted to create a pretext to erect something to which he can attach his name. OK, then. Let’s call it The Trump Wall. It’s all his. He can have it. Let’s just ponder for a moment a remarkable U.S. Senate committee hearing. 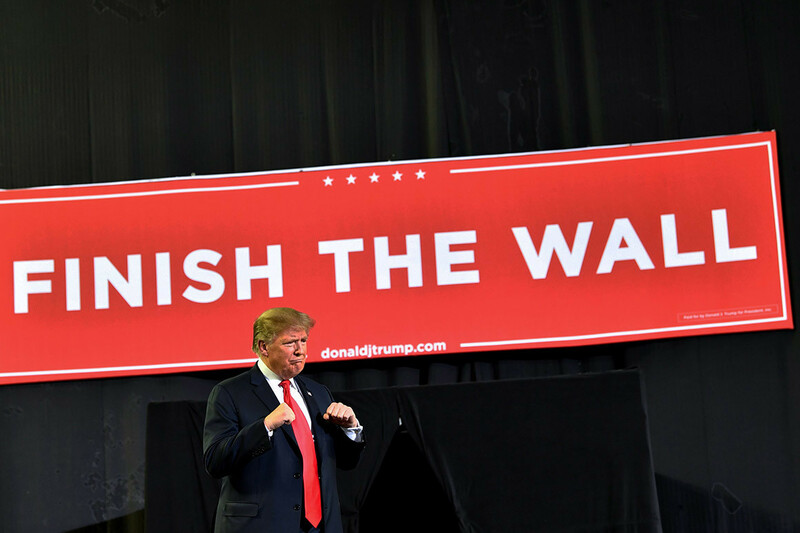 Donald Trump says the Islamic State has been defeated; he says North Korea no longer presents a nuclear weapons threat; he stands by his decision to pull the United States out of a deal that bans Iran from obtaining nukes. ISIS has thousands of fighters and is planning guerrilla attacks against innocent victims and nations it considers to be enemies. North Korea is working toward developing nuclear weapons and that those weapons are likely to pose a direct threat to the United States of America. Iran is continuing to comply with the agreement that seeks to prevent the Islamic Republic from obtaining nuclear weapons. I am left to ask: What in the name of national security is the president of the United States thinking? Oh, I know the answer. He isn’t thinking. I do wish this weren’t the case, but race still matters in determining our elected leadership in many of our states. I fear we’re going to see an example of it at the end of today when they count the ballots in Mississippi, a state long held up as an example where bigotry and racism run rampant. U.S. Sen. Cindy Hyde-Smith is running for election to a seat to which she was appointed. The Republican is facing Democrat Mike Espy, a former agriculture secretary in the Clinton administration and a former member of the U.S. House of Representatives. 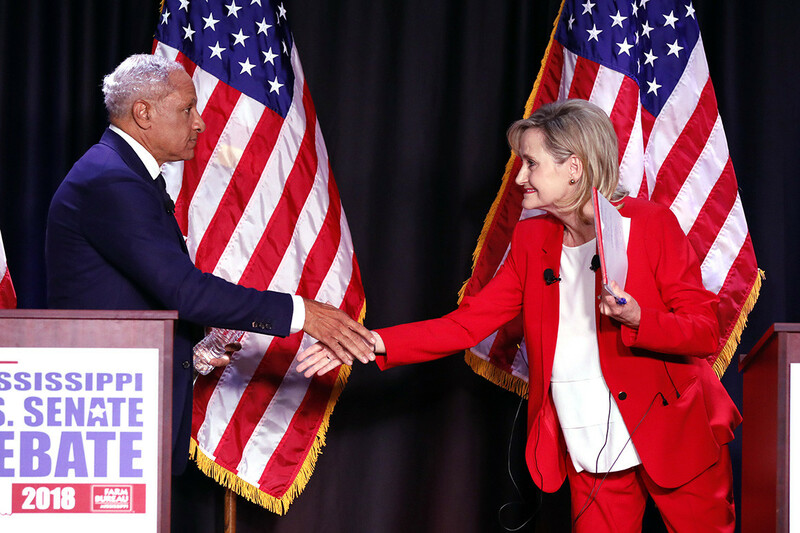 It’s a runoff election, with Hyde-Smith and Espy competing as the top two finishers in an open contest featuring candidates from both major parties. It doesn’t look good for Espy at this moment. Why? Well, Espy is an African-American candidate. He also is known as a moderate Democrat, a thoughtful fellow with extensive government experience. Hyde-Smith has been caught in a number of troubling incidents. She said just a few weeks ago that she would be on the front row if she were invited to a “public hanging.” Many substituted the term “hanging” with “lynching,” which of course sounds the siren to African-Americans who know what that entails. She then offered one of those idiotic non-apologies, saying she is sorry to “anyone who was offended” by her remarks. She also had her picture taken in 2014 wearing a Confederate cap, packing a rifle under a caption that extolled the Confederacy’s glowing role in state history. Mississippi is a deeply Republican state. Espy is hoping to capture lightning with a record African-American turnout today, while winning roughly a quarter of the white vote. Will it happen? I hope it does. Here, though, is one more kick in the gut: The third-place finisher in that earlier election was a Donald Trump sycophant, Chris McDaniel; most of the votes that McDaniel got are damn near a cinch to end up in Hyde-Smith’s column at day’s end. Yes, we should all should be interested in this race, even though it’s down yonder in Mississippi. The winner will help write national laws that affect all of us. Thus, I am pulling for Mike Espy. Ivanka Trump has been busted for, that’s right, using her personal e-mail account to convey government policy matters. Sound familiar? Sure it does. Republican officials and politicians led chants from faithful audiences to “Lock her up!” when the subject was Hillary Rodham Clinton, the former secretary of state who also ran as the Democratic nominee for president in 2016. I am not going to join in any kind of payback as it regards the president’s daughter, who doubles as a senior policy adviser in the Trump administration. Doing so would expose any of those who bristled at the chants aimed at Clinton to charges of rank hypocrisy. However, I do expect the new Democrat-controlled House to launch hearings next year into what Ivanka Trump disseminated via her personal e-mail account. That, I submit, is fair treatment. What mattered for Hillary ought to matter as well for Ivanka. ‘Lock him up, lock him up’? What in the name of national security is going on here? The New York Times reports that Donald John Trump is using an unsecured cell phone to talk about, oh, matters involving national security. And … the Chinese and the Russians are eavesdropping on him. Wait just a doggone minute, will ya? 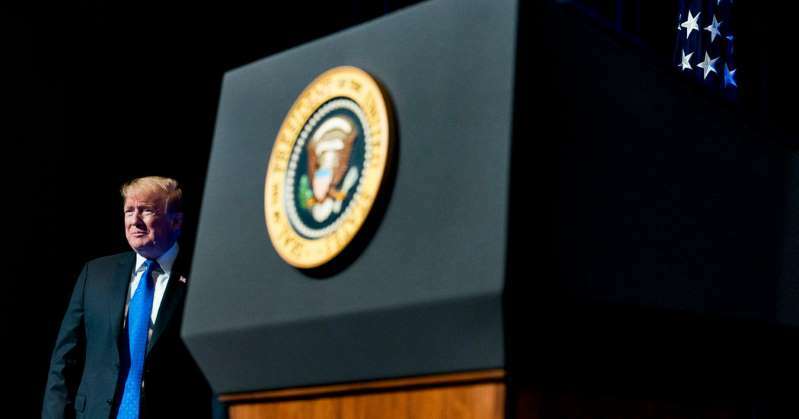 Weren’t the Republican mobs yelling “Lock her up!” when questions arose about Hillary Rodham Clinton using a personal e-mail server while she was secretary of state during the first term of the Obama administration? Didn’t the Republican nominee for president say that “if you’re listening,” the Russians should look for the missing e-mails? Of course, the president challenges the NYT’s reporting on the story. 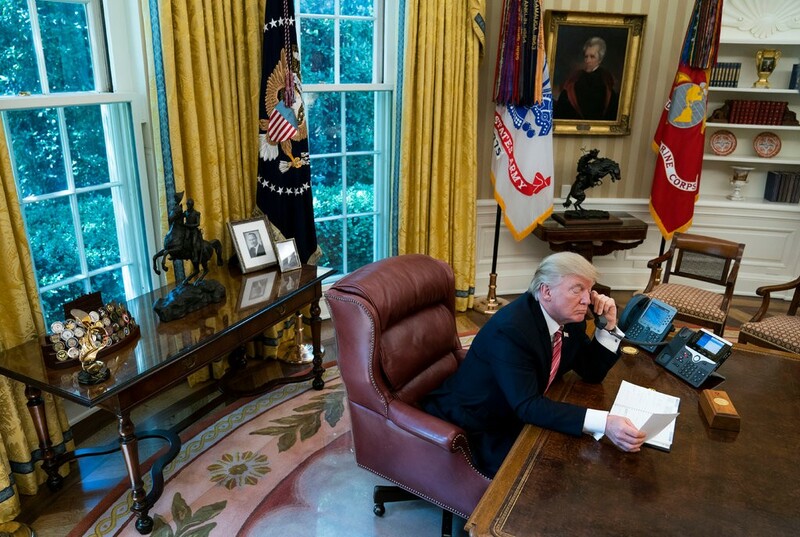 He said in a tweet: The so-called experts on Trump over at the New York Times wrote a long and boring article on my cellphone usage that is so incorrect I do not have time here to correct it. I only use Government Phones, and have only one seldom used government cell phone. Story is soooo wrong! I’ll take the president at his word that the Times is “soooo wrong” when the newspaper retracts or “clarifies” the story. In the meantime, I’ll refrain from leading any “Lock him up” chant, given that I’ve been highly critical of the GOP mobs’ call to lock up Hillary Clinton without anything approaching due process. Although this also must be said: Even though Hillary endured “due process” through endless congressional hearings on the e-mail matter, and was found to have committed no crimes, the “Lock her up!” bellowing has persisted. We’re better than that now, though. Aren’t we?